My friends and I probably put more planning into watching the Royal Wedding than any of us will for our own weddings. We got together at the crack of dawn, and came equipped with all of the necessities--my tiara, the family china tea cups, champagne, a BIG pot of coffee, and these precious little scones! I still get all the feels thinking back on Meghan and Harry's wedding! Such a moving ceremony and piece of history to watch. It was also neat to see places my family and I had visited before during our trips to England--the Windsor Palace was one of my favorites stops along the way! 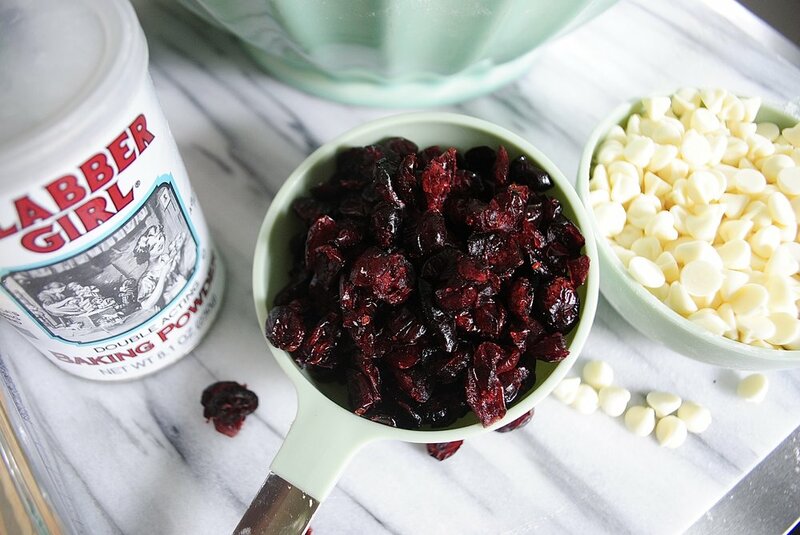 One of my favorite couples to bake with is white chocolate/dried cranberries. I love how they're different flavors and textures balance each other--a match made in heaven if you ask me! 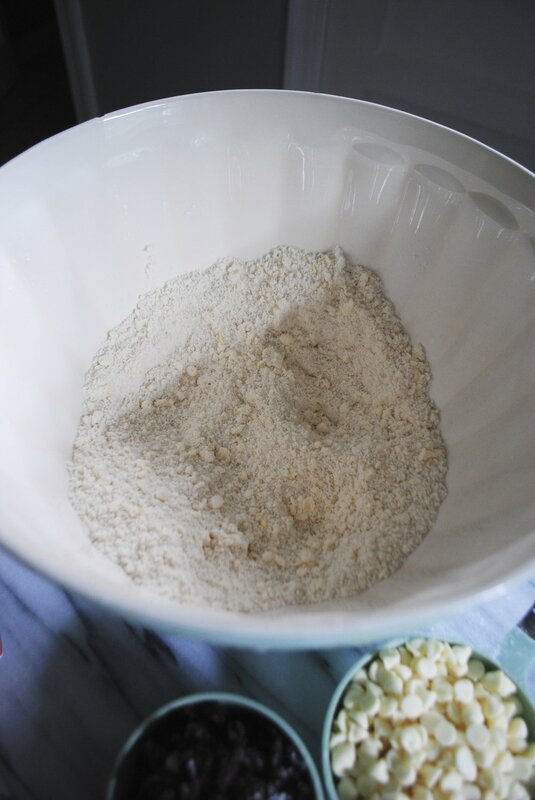 My best friend is gluten-free so I swapped regular all-purpose flour for this Pillsbury GF flour blend. I typically don't notice a difference in taste or texture when I try out GF recipes, and sometimes I even think they're better--this occasion was definitely one of those times! The lemon zest is kind of like the wedding officiator of this recipe as it really was responsible for marrying the ingredients together! 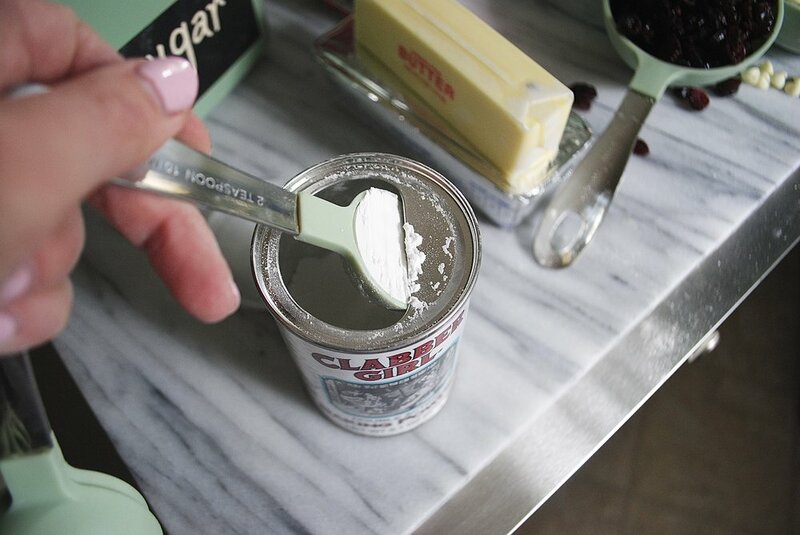 The littlest bit (1 teaspoon to be exact) goes a long way and complements all the other ingredients so well. 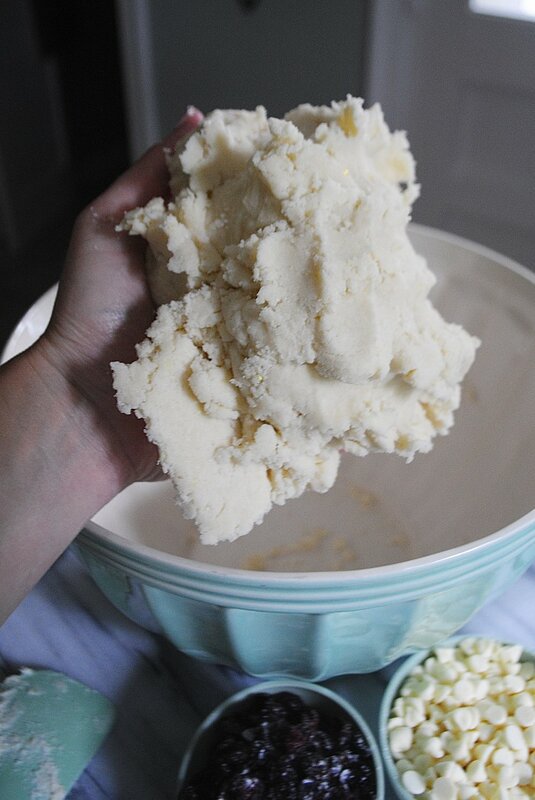 One thing I really love about making scones is the fact I don't need an electric mixer of any sort. Some recipes call for a pastry blender, but a fork will do just as good of a job! I actually ditched the spatula shortly after taking this photo and just used my hands instead. It was a liiiitle messy, but so much more effective. You can actually use more or less of either the dried cranberries and white chocolate chips depending on your preferences. I almost overbaked these little guys because they don' spread when they bake so it was kind of hard to tell when they were done. What gave it away was their browned corners. What kind of cookie sheet you use will also determine your baking time, so I would recommend starting off at 8 minutes and then check them. If you're feeling extra fancy, then you can top the scones off with a glaze or just a little bit of butter. Either way, you can't go wrong with royally delicious littles! Recipe below, happy baking y'all!